We demonstrate a large-energy, wavelength-tunable, all-fiber passively Q-switched Er:Yb-codoped laser using a mono-layer chemical vapor deposition (CVD) graphene saturable absorber (SA). By exploiting the large laser gain of Er:Yb double-clad fiber and optimizing the coupling ratio of the output coupler, not only can the mono-layer CVD graphene SA be protected from oversaturation and thermal damage, but also a large pulse energy up to 1.05 μJ (corresponding to the average output power of 25.6 mW) is thus achieved. Using a tunable fiber Fabry–Perot filter, stable Q-switched pulses can operate with a tunable range from 1530.97 to 1546.92 nm, covering a wavelength range of ∼16 nm. The Q-switching states at the different lasing wavelengths have been observed and recorded. The Q-switched repetition rate and the pulse duration (with the minimum one of 2.6 μs) have been characterized as well. This is, to the best of our knowledge, the largest pulse energy from an all-fiber graphene Q-switched laser. J. Y. Huang, W. C. Huang, W. Z. Zhuang, K. W. Su, Y. F. Chen, and K. F. Huang, “High-pulse-energy, passively Q-switched Yb-doped fiber laser with AlGaInAs quantum wells as a saturable absorber,” Opt. Lett. 34, 2360–2362 (2009). D. P. Zhou, L. Wei, B. Dong, and W. K. Liu, “Tunable passively Q-switched erbium-doped fiber laser with carbon nanotubes as a saturable absorber,” IEEE Photon. Technol. Lett. 22, 9–11 (2010). Y. Chen, C. J. Zhao, S. Q. Chen, J. Du, P. H. Tang, G. B. Jiang, H. Zhang, S. C. Wen, and D. Y. Tang, “Large energy, wavelength widely tunable, topological insulator Q-switched erbium-doped fiber laser,” IEEE J. Sel. Top. Quantum Electron. 20, 0900508 (2014). Z. Q. Luo, Y. Z. Huang, J. Weng, H. H. Cheng, Z. Q. Lin, B. Xu, Z. P. Cai, and H. Y. Xu, “1.06 μm Q-switched ytterbium-doped fiber laser using few-layer topological insulator Bi2Se3 as a saturable absorber,” Opt. Express 21, 29516–29522 (2013). W. J. Cao, H. Y. Wang, A. P. Luo, Z. C. Luo, and W. C. Xu, “Graphene-based, 50 nm wide-band tunable passively Q-switched fiber laser,” Laser Phys. Lett. 9, 54–58 (2012). H. Ahmad, M. Z. Zulkifli, F. D. Muhammad, A. Z. Zulkifli, and S. W. Harun, “Tunable graphene-based Q-switched erbium-doped fiber laser using fiber Bragg grating,” J. Mod. Opt. 60, 202–212 (2013). D. Popa, Z. Sun, T. Hasan, F. Torrisi, F. Wang, and A. C. Ferrari, “Graphene Q-switched, tunable fiber laser,” Appl. Phys. Lett. 98, 073106 (2011). D. P. Zhou, L. Wei, and W. K. Liu, “Tunable graphene Q-switched erbium-doped fiber laser with suppressed self-mode locking effect,” Appl. Opt. 51, 2554–2558 (2012). Y. K. Yap, R. M. D. L. Rue, C. H. Pua, S. W. Harun, and H. Ahmad, “Graphene-based Q-switched pulsed fiber laser in a linear configuration,” Chin. Opt. Lett. 10, 041405 (2012). Y. L. Tang, X. C. Yu, X. H. Li, Z. Y. Yan, and Q. J. Wang, “High power thulium fiber laser Q-switched with single-layer graphene,” Opt. Lett. 39, 614–617 (2014). J. Liu, J. Xu, and P. Wang, “Graphene-based passively Q-switched 2 μm thulium-doped fiber laser,” Opt. Commun. 285, 5319–5322 (2012). L. Wei, D. P. Zhou, H. Y. Fan, and W. K. Liu, “Graphene-based Q-switched erbium-doped fiber laser with wide pulse-repetition-rate range,” IEEE Photon. Technol. Lett. 24, 309–311 (2012). Z. Z. Dong, H. P. Li, H. D. Xia, Y. Liu, Z. G. Wang, and Y. F. Chen, “Passively Q-switched erbium-doped fiber laser using a graphene saturable absorber,” in Asia Communications and Photonics Conference (Optical Society of America, 2012), paper AS1A.2. D. Lv, L. H. P. Li, H. D. Xia, S. J. Zhang, and Y. Liu, “Passively Q-switched linear-cavity erbium-doped fiber laser based on graphene saturable absorber,” in 12th International Conference on Optical Communications and Networks (ICOCN) (IEEE, 2013), pp. 1–3. L. Q. Zhang, Z. Zhuo, J. X. Wang, and Y. Z. Wang, “Passively Q-switched fiber laser based on graphene saturable absorber,” Laser Phys. 22, 433–436 (2012). 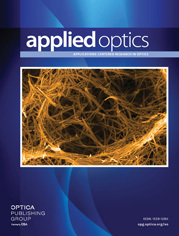 G. Sobon, J. Sotor, J. Jagiello, R. Kozinski, K. Librant, M. Zdrojek, L. Lipinska, and K. M. Abramski, “Linearly polarized, Q-switched Er-doped fiber laser based on reduced graphene oxide saturable absorber,” Appl. Phys. Lett. 101, 241106 (2012). J. Q. Zhao, P. G. Yan, S. C. Ruan, Y. Q. Yu, G. G. Du, G. L. Zhang, J. Q. Cheng, H. F. Wei, and J. Luo, “Multi-wavelength graphene-based Q-switched erbium-doped fiber laser,” Opt. Eng. 51, 074201 (2012). Z. T. Wang, Y. Chen, C. J. Zhao, H. Zhang, and S. C. Wen, “Switchable dual-wavelength synchronously Q-switched Erbium-doped fiber laser based on graphene saturable absorber,” IEEE Photon. J. 4, 869–876 (2012). H. Ahmad, F. D. Muhammad, M. Z. Zulkifli, and S. W. Harun, “Q-switched pulse generation from an all-fiber distributed Bragg reflector laser using graphene as saturable absorber,” Chin. Opt. Lett. 11, 071401 (2013). J. Z. Wang, Z. Q. Luo, M. Zhou, C. C. Ye, H. Y. Fu, Z. P. Cai, H. H. Cheng, H. Y. Xu, and W. Qi, “Evanescent-light deposition of graphene onto tapered fibers for passive Q-switch and mode-locker,” IEEE Photon. J. 4, 1295–1305 (2012). Z. Q. Luo, M. Zhou, J. Weng, G. M. Huang, H. Y. Xu, C. C. Ye, and Z. P. Cai, “Graphene-based passively Q-switched dual-wavelength erbium-doped fiber laser,” Opt. Lett. 35, 3709–3711 (2010). Z. Q. Luo, M. Zhou, D. D. Wu, C. C. Ye, J. Weng, J. Dong, H. Y. Xu, Z. P. Cai, and L. J. Chen, “Graphene-induced nonlinear four-wave-mixing and its application to multiwavelength Q-switched rare-earth-doped fiber lasers,” IEEE J. Lightwave Technol. 29, 2732–2739 (2011). C. Wei, X. S. Zhu, F. Wang, Y. Xu, K. Balakrishnan, F. Song, R. A. Norwood, and N. Peyghambarian, “Graphene Q-switched 2.78 μm Er3+-doped fluoride fiber laser,” Opt. Lett. 38, 3233–3236 (2013). J. Liu, S. D. Wu, Q. H. Yang, and P. Wang, “Stable nanosecond pulse generation from a graphene-based passively Q-switched Yb-doped fiber laser,” Opt. Lett. 36, 4008–4010 (2011). L. Zhang, J. T. Fan, J. H. Wang, J. M. Hu, M. Lotya, G. Z. Wang, R. H. Li, L. Zhang, W. J. Blau, J. N. Coleman, J. Wang, and Y. Feng, “Graphene incorporated Q-switching of a polarization-maintaining Yb-doped fiber laser,” Laser Phys. Lett. 9, 888–892 (2012). G. W. Zhu, X. S. Zhu, K. Balakrishnan, R. A. Norwood, and N. Peyghambarian, “Fe2+:ZnSe and graphene Q-switched singly Ho3+-doped ZBLAN fiber lasers at 3 μm,” Opt. Mater. Express 3, 1365–1377 (2013). F. Wang, F. Torrisi, Z. Jiang, D. Popa, T. Hasan, Z. Sun, W. B. Cho, and A. C. Ferrari, “Graphene passively Q-switched two-micron fiber lasers,” in CLEO: Science and Innovations (Optical Society of America, 2012), paper JW2A.72. R. R. Nair, P. Blake, A. N. Grigorenko, K. S. Novoselov, T. J. Booth, T. Stauber, N. M. R. Peres, and A. K. Geim, “Fine structure constant defines visual transparency of graphene,” Sci. Mag. 320(5881), 1308 (2008). Q. L. Bao, H. Zhang, Y. Wang, Z. H. Ni, Y. L. Yan, Z. X. Shen, K. P. Loh, and D. Y. Tang, “Atomic‐layer graphene as a saturable absorber for ultrafast pulsed lasers,” Adv. Funct. Mater. 19, 3077–3083 (2009). X. S. Li, W. W. Cai, J. An, S. Kim, J. Nah, D. X. Yang, R. Piner, A. Velamakanni, I. Jung, E. Tutuc, S. K. Banerjee, L. Colombo, and R. S. Ruoff, “Large-area synthesis of high-quality and uniform graphene films on copper foils,” Sci. Mag. 324(5932), 1312–1314 (2009). A. C. Ferrari, J. C. Meyer, V. Scardaci, C. Casiraghi, M. Lazzeri, F. Mauri, S. Piscanec, D. Jiang, K. S. Novoselov, S. Roth, and A. K. Geim, “Raman spectrum of graphene and graphene layers,” Phys. Rev. Lett. 97, 187401 (2006). D. Graf, F. Molitor, K. Ensslin, C. Stampfer, A. Jungen, C. Hierold, and L. Wirtz, “Spatially resolved Raman spectroscopy of single-and few-layer graphene,” Nano Lett. 7, 238–242 (2007). Fig. 1. Raman spectrum of graphene with photograph of the PMMA/graphene fiber ferrule. Fig. 2. Schematic of the EYDCF Q-switched fiber laser. Fig. 3. Spectra of wavelength-tunable Q-switched operation. Fig. 4. Output pulse train at different wavelengths: (a) 1546.92 nm, (b) 1541.35 nm, (c) 1535.52 nm, and (d) 1530.97 nm. Fig. 5. Output average power and pulse energy at different wavelengths within tuning range. Fig. 6. (a) Output spectrum and Q-switched pulse train (inset). (b) Radio-frequency optical spectrum at the fundamental frequency and the wideband RF spectrum (insert). Fig. 7. (a) Pulse repetition rate and average output power. (b) Single pulse energy and pulsewidth as a function of the launched pump power.